Puchala, R., S. G Pierzynowski, T. Sahlu, and S. P Hart. 1996. “Effects Of Mimosine Administered To A Perfused Area Of Skin In Angora Goats”. British Journal Of Nutrition 75 (01). British Journal Of Nutrition: 69. doi:10.1079/BJN19960111. http://www.journals.cambridge.org/abstract_S0007114596000116. Pierzynowski, S.G., R. Puchala, T. Sahlu, and S.P. Hart. 1997. “Effects Of Lysine And Hormones On Amino Acid Concentration In The Skin Of Angora Goats”. Small Ruminant Research 24 (1). Small Ruminant Research: 27 - 36. doi:10.1016/S0921-4488(96)00906-6. http://linkinghub.elsevier.com/retrieve/pii/S0921448896009066. Zeng, S.S., E.N. Escobar, and T. Popham. 1997. “Daily Variations In Somatic Cell Count, Composition, And Production Of Alpine Goat Milk”. Small Ruminant Research 26 (3). Small Ruminant Research: 253 - 260. doi:10.1016/S0921-4488(96)01002-4. http://linkinghub.elsevier.com/retrieve/pii/S0921448896010024. Zeng, S. S, S. Hart, E. N Escobar, and K. Tesfai. “Validation Of Antibiotic Residue Tests For Dairy Goats”. Journal Of Food Protection 61. Journal Of Food Protection: 344-349. http://www.ingentaconnect.com/content/iafp/jfp/1998/00000061/00000003/art00016. Puchala, R, S.G Pierzynowski, and T Sahlu. 1998. “Effects Of Methionine And Hormones On Amino Acid Concentration In The Skin Of Angora Goats”. Small Ruminant Research 29 (1). Small Ruminant Research: 93 - 102. doi:10.1016/S0921-4488(97)00105-3. http://linkinghub.elsevier.com/retrieve/pii/S0921448897001053. Davis, J.J, T Sahlu, R Puchala, and K Tesfai. 1998. “Performance Of Angora Goat Kids Fed Acidified Milk Replacer At Two Levels Of Intake”. Small Ruminant Research 28 (3). Small Ruminant Research: 249 - 255. doi:10.1016/S0921-4488(97)00093-X. http://linkinghub.elsevier.com/retrieve/pii/S092144889700093X. Zeng, S.S, E.N Escobar, S.P Hart, L Hinckley, M Baulthaus, G.T Robinson, and G Jahnke. 1999. “Comparative Study Of The Effects Of Testing Laboratory, Counting Method, Storage And Shipment On Somatic Cell Counts In Goat Milk”. Small Ruminant Research 31 (2). Small Ruminant Research: 103 - 107. doi:10.1016/S0921-4488(98)00133-3. http://linkinghub.elsevier.com/retrieve/pii/S0921448898001333. Sahlu, T, S.P Hart, and A.L Goetsch. 1999. “Effects Of Level Of Feed Intake On Body Weight, Body Components, And Mohair Growth In Angora Goats During Realimentation”. Small Ruminant Research 32 (3). Small Ruminant Research: 251 - 259. doi:10.1016/S0921-4488(98)00196-5. http://linkinghub.elsevier.com/retrieve/pii/S0921448898001965. Sahlu, T, H Carneiro, H.M El Shaer, J.M Fernandez, S.P Hart, and A.L Goetsch. 1999. “Dietary Protein Effects On And The Relationship Between Milk Production And Mohair Growth In Angora Does”. Small Ruminant Research 33 (1). Small Ruminant Research: 25 - 36. doi:10.1016/S0921-4488(99)00003-6. http://linkinghub.elsevier.com/retrieve/pii/S0921448899000036. Reis, P.J, R Puchala, T Sahlu, S.P Hart, and A.L Goetsch. 1999. “Effects Of Mimosine On Plasma Amino Acid Concentrations In Angora Goats”. Small Ruminant Research 33 (1). Small Ruminant Research: 55 - 61. doi:10.1016/S0921-4488(98)00195-3. http://linkinghub.elsevier.com/retrieve/pii/S0921448898001953. Puchala, R, T Sahlu, and J.J Davis. 1999. “Effects Of Zinc-Methionine On Performance Of Angora Goats”. Small Ruminant Research 33 (1). Small Ruminant Research: 1 - 8. doi:10.1016/S0921-4488(98)00194-1. http://linkinghub.elsevier.com/retrieve/pii/S0921448898001941. Yami, A., A.J. Litherland, J.J. Davis, T. Sahlu, R. Puchala, and A.L. Goetsch. 2000. “Effects Of Dietary Level Of Leucaena Leucocephala On Performance Of Angora And Spanish Doelings”. Small Ruminant Research 38 (1). Small Ruminant Research: 17 - 27. doi:10.1016/S0921-4488(00)00131-0. http://linkinghub.elsevier.com/retrieve/pii/S0921448800001310. Luo, J, T Sahlu, M Cameron, and A.L Goetsch. 2000. “Growth Of Spanish, Boer×Angora And Boer×Spanish Goat Kids Fed Milk Replacer”. Small Ruminant Research 36 (2). Small Ruminant Research: 189 - 194. doi:10.1016/S0921-4488(99)00163-7. http://linkinghub.elsevier.com/retrieve/pii/S0921448899001637. Litherland, A.J, C Toerien, T Sahlu, P Lee, and A.L Goetsch. 2000. “Effects Of Season On Fleece Traits Of Angora Does In The Us”. Small Ruminant Research 38 (1). Small Ruminant Research: 63 - 70. doi:10.1016/S0921-4488(00)00135-8. http://linkinghub.elsevier.com/retrieve/pii/S0921448800001358. Litherland, A.J, T Sahlu, C.A Toerien, R Puchala, K Tesfai, and A.L Goetsch. 2000. “Effects Of Dietary Protein Sources On Mohair Growth And Body Weight Of Yearling Angora Doelings”. Small Ruminant Research 38 (1). Small Ruminant Research: 29 - 35. doi:10.1016/S0921-4488(00)00133-4. http://linkinghub.elsevier.com/retrieve/pii/S0921448800001334. Ivey, D.S, F.N Owens, T Sahlu, T.H Teh, L.J Dawson, G.A Campbell, and A.L Goetsch. 2000. “Influences Of The Number Of Fetuses And Levels Of Cp And Me In Gestation And Lactation Supplements On Performance Of Spanish Does And Kids During Suckling And Post-Weaning”. Small Ruminant Research 35 (2). Small Ruminant Research: 123 - 132. doi:10.1016/S0921-4488(99)00083-8. http://linkinghub.elsevier.com/retrieve/pii/S0921448899000838. Ivey, D.S, F.N Owens, T Sahlu, T.H Teh, P.L Claypool, and A.L Goetsch. 2000. “Growth And Cashmere Production By Spanish Goats Consuming Ad Libitum Diets Differing In Protein And Energy Levels”. Small Ruminant Research 35 (2). Small Ruminant Research: 133 - 139. doi:10.1016/S0921-4488(99)00084-X. http://linkinghub.elsevier.com/retrieve/pii/S092144889900084X. Goetsch, A. L, R. Puchala, M. Lachica, T. Sahlu, and L. J Dawson. 2000. “Effects Of Dietary Levels Of Forage And Ruminally Undegraded Protein On Early Lactation Milk Yield By Alpine Does And Doelings”. Journal Of Applied Animal Research 18 (1). Journal Of Applied Animal Research: 49 - 60. doi:10.1080/09712119.2000.9706323. http://www.tandfonline.com/doi/abs/10.1080/09712119.2000.9706323. Carneiro, H, R Puchala, F.N Owens, T Sahlu, K Qi, and A.L Goetsch. 2000. “Effects Of Dietary Sulfur Level On Amino Acid Concentrations In Ruminal Bacteria Of Goats”. Small Ruminant Research 37 (1-2). Small Ruminant Research: 151 - 157. doi:10.1016/S0921-4488(99)00167-4. http://linkinghub.elsevier.com/retrieve/pii/S0921448899001674. Merkel, R.C., C. Toerien, T. Sahlu, and C. Blanche. 2001. “Digestibility, N Balance And Blood Metabolite Levels In Alpine Goat Wethers Fed Either Water Oak Or Shining Sumac Leaves”. Small Ruminant Research 40 (2). Small Ruminant Research: 123 - 127. doi:10.1016/S0921-4488(00)00220-0. http://linkinghub.elsevier.com/retrieve/pii/S0921448800002200. Hart, S.P. 2001. 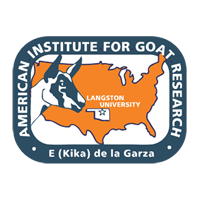 “Recent Perspectives In Using Goats For Vegetation Management In The Usa”. Journal Of Dairy Science 84. Journal Of Dairy Science: E170 - E176. doi:10.3168/jds.S0022-0302(01)70212-3. http://linkinghub.elsevier.com/retrieve/pii/S0022030201702123. Goetsch, A.L, G Detweiler, T Sahlu, R Puchala, and L.J Dawson. 2001. “Dairy Goat Performance With Different Dietary Concentrate Levels In Late Lactation”. Small Ruminant Research 41 (2). Small Ruminant Research: 117 - 125. doi:10.1016/S0921-4488(01)00212-7. http://linkinghub.elsevier.com/retrieve/pii/S0921448801002127. Goetsch, A.L, G Detweiler, T Sahlu, and L.J Dawson. 2001. “Effects Of Different Management Practices On Preweaning And Early Postweaning Growth Of Alpine Kids”. Small Ruminant Research 41 (2). Small Ruminant Research: 109 - 116. doi:10.1016/S0921-4488(01)00207-3. http://linkinghub.elsevier.com/retrieve/pii/S0921448801002073. Brown-Crowder, I.E, S.P Hart, M Cameron, T Sahlu, and A.L Goetsch. 2001. “Effects Of Dietary Tallow Level On Performance Of Alpine Does In Early Lactation”. Small Ruminant Research 39 (3). Small Ruminant Research: 233 - 241. doi:10.1016/S0921-4488(00)00197-8. http://linkinghub.elsevier.com/retrieve/pii/S0921448800001978. Goetsch, A. L, G. Detweiler, and T. Sahlu. 2002. “A Note On The Effects Of Preweaning Concentrate Supplementation On Performance Of Meat Goats”. Journal Of Applied Animal Research 21 (1). Journal Of Applied Animal Research: 25 - 34. doi:10.1080/09712119.2002.9706354. http://www.tandfonline.com/doi/abs/10.1080/09712119.2002.9706354.